To track client adherence and pain levels, make sure that adherence tracking and/or pain level tracking are enabled for your client's exercise program. In the program designer, when you've clicked on the "Assign" button, a window is shown where you can chose the program settings for a client. 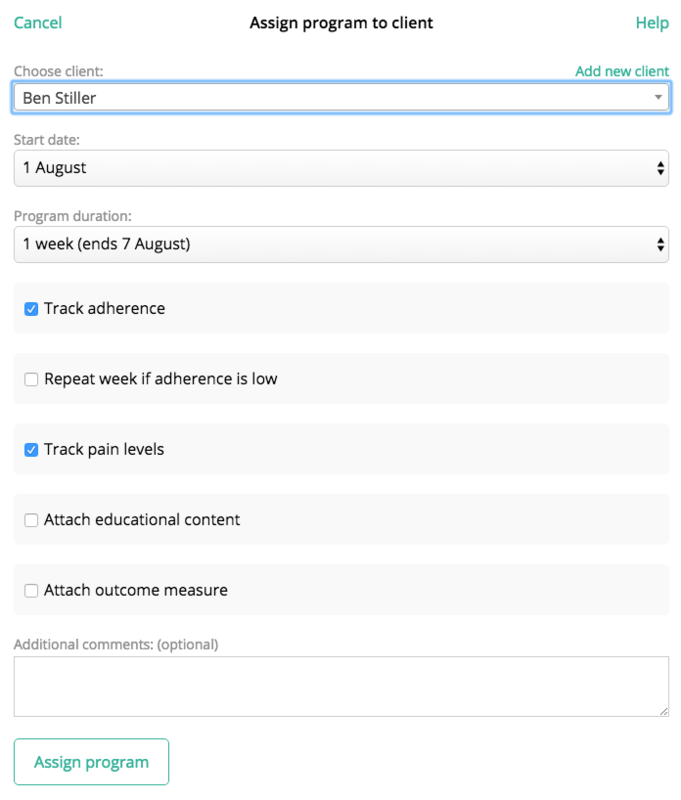 Simply check "Track adherence" and/or "Track pain levels" if you'd like to track adherence and/or pain levels. If this client has an active program, click the "View program" button. This will open the program designer. Click on the "Settings" button to open the program settings window. Update the tracking as you would like, and click "Save changes".